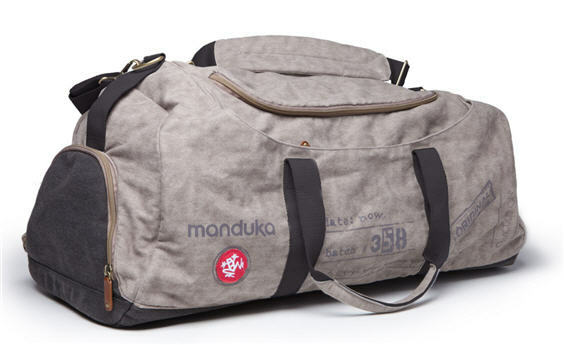 Manduka has launched a new yoga bag line. The new Journey On collection includes six unique large bags named The Roadtripper, the Seeker, The Wanderer, the Daytripper, the Commuter and the Go-Getter. Manduka CEO, Sky Meltzer, says, "For most practitioners, yoga is a personal journey and their gear a foundation for support. Our goal with Journey On was to provide a family of high quality bags that were consciously and stylishly designed to carry mats, towels and props with ease. The collection is a great addition to our purpose driven, revolutionary, eco-friendly line of yoga gear."